Early child development is becoming increasingly popular. One of the most popular systems of early development is the Montessori method. This technique was developed by Dr. Maria Montessori and was named in her honor. For the first time the technique was applied in practice in 1906. Now it is very widely used in kindergartens and schools around the world. The Montessori method is based on the deepest respect for the child and on the understanding that each child is unique and requires an individual approach in his development from the earliest days of life in order to reveal all his potential. The main purpose of the Montessori method is to encourage a child to learn in a specially prepared (with the help of didactic materials) environment. Minimal intervention in the child’s learning activities. 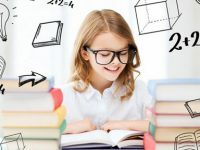 To implement the methods of Maria Montessori it is necessary to organize the educational space so that getting into it children begin to learn on their own. To organize an effective learning environment Maria Montessori was constantly creating and testing special materials. Then she selected the most effective and interesting ones. The importance of Montessori materials is huge in implementing of her method. Her materials help children learn without noticing learning. Children learn easily and in a form of playing games. Learns to find his own errors and correct them. According to Maria Montessori, each child needs an individual program of development, planned exclusively for him. This principle should be implemented by Montessori educators, who are to create conditions for effective education and for maximum freedom of children. During Montessori lessons, each child decides what he will do: reading, drawing, learning geography or modeling. Children are free to master these skills at their own pace. The teacher acts as an observer and doesn’t interfere into the kids’ learning process. His task is only to create conditions for kids to practice. The Montessori teacher helps a child only when the child doesn’t understand how to use the material. And even in this case, the tutor does nothing instead of the child, he only explains and makes a presentation. Montessori classroom (educational environment) is a room divided into thematic areas and filled with a variety of didactic materials. Such a well-organized workspace helps children to develop very intensively. Thematic areas help children to better navigate in the variety of educational tools and to structure the received information and skills. But the number of thematic areas can be more diverse (music, art, sports, etc.). Now let’s talk more about each area in the Montessori classroom. This area contains materials that develop a child’s self-help skills. Here toddlers learn to wash and iron the clothes, to clean and chop the vegetables, to sweep, to clean shoes, to tie and untie shoelaces, to undo buttons, etc. The area of sensory development. This area contains materials that help kids learn to distinguish characteristics of objects: size, color, shape, weight. 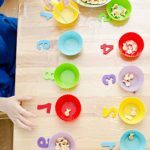 These Montessori materials also contribute to the development of attention, memory and fine motor skills. In this area one can find the materials that contribute to the development of the concept of number. In addition, in the mathematics area, the child develops spatial and logical thinking, attention, memory, perseverance. Materials in this zone will help your child learn the alphabet, syllables, and also learn to read and write. This area explains the child processes and phenomena of the outside world. 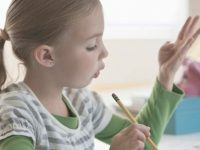 The Montessori method has a lot of followers that introduce additional elements in accordance with the basic principles of the technique. An ever increasing number of materials and thematic zones in Montessori classes contribute to more versatile early development. You can also create such zones for your kid’s early development at home. Pay attention to your child’s abilities and interests.